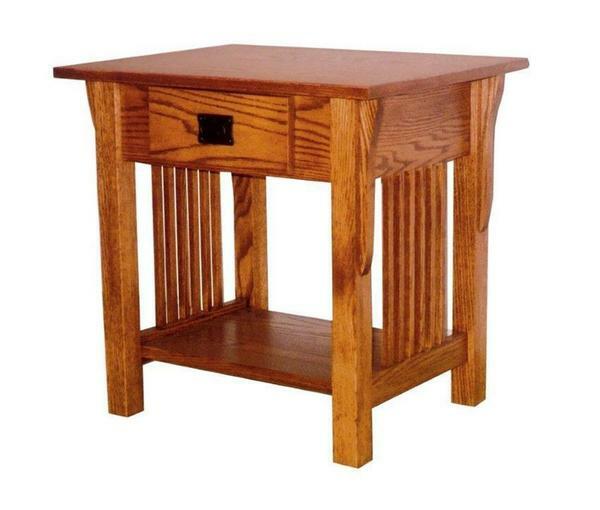 What makes our Amish Prarie Mission End Table stand out from other mission end tables? We think it's the drawer close to the base of the piece that also has an open shelf. The design is rounded out by a rectangular top, vertical mission slats and corbels. The drawer can be made with full extension glides for easy access to those pesky items that tend to get pushed to the back of drawers. Available to made from red oak, cherry, hard maple, brown maple, quarter sawn white oak, ash wood, or rustic cherry, a variety of finish, and hardware.